It is with great sadness that we announce the sudden passing of our beloved son, grandson, brother, uncle, nephew and friend Darby at the age of 26 on January 16, 2018 in Calgary, AB. Our angel graced us with his presence on March 22, 1991 in Lethbridge, AB and was a member of the Aakaiksamaiksi clan (friendly verbal rivals). 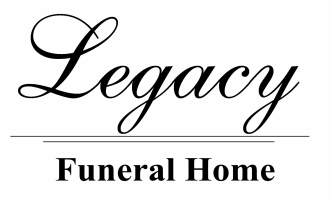 Darby leaves behind his loving Mother; Simone (Josh) Soop; Father; Dale Tallman; Brothers; Brandon (Aurora), Wade, Nolan, his precious baby sister Kaylee. Grandparents; Carolyn (Douglas) ManyGreyHorses; Pete Anderson and Violet Tallman; Aunts; Cissy (Lawrence) Mistaken Chief; Deanna (Levi) English, Tatum (Justin) Chapman, Angela Tallman; Uncles; Beatle (Heather) Soop, Eldon (Estelle) Soop, Jack Spring Chief, Bill (Deirdre) Owens, Ernie Tallman, Brian (Annette)Tallman Andrew Tallman, Peter Tallman; Great Uncle; Louis (Abby) Soop (Piitaikihtsipiimi Spotted Eagle); Godparents; Darryl ManyGreyHorses, Bill Creighton, Lisa Creighton, (late) Kari-Lynn (Tweety) Soop. Many cousins too numerous to mention. Paternal: Father; Todd (Tara) Shade, Sisters; Chelsie & Shaylyn (Neenee) Shade, Paternal grandparents; Barry & Ronni Shade, Shade uncles; Shawn, JJ, Willie (Jasmine), Kevin (Beth), Tyson (Jenny), Doug (Carmen) Singer and his very precious only nephew Angelo Shade whom he lovingly called “Baby”. Darby loved training martial arts from an early age and was part of our family boxing club, where his dad Dale was the trainer and his younger brother boxed as well. Darby was a Provincial and Golden Gloves Champion. Darby competed at numerous boxing events and took on all comers. He was the first one of the fighting family to enter the MMA cage, and was victorious in his first fight by KO. He is well known in the martial arts community throughout Alberta. He inspired his father to enter the MMA cage and would walk his father into battle along with his brother. Darby had big dreams to go far with MMA and boxing, and had a fight scheduled in late February 2018. His father and brothers will continue fulfilling the family dream and his legacy. Darby was an all round athlete who also competed in hockey and rodeo in his youth. He attended Wetaskiwin High School where he was a member of the Football (provincial champions) team and Provincial Champs for the Sabres wrestling team. Darby also attended high school at LCI in Lethbridge, Ab and was a member of the wrestling team. Darby graduated from the Cardston High School in 2009 and received his post secondary education and training in iron work from SAIT in Calgary, AB. Darby had begun working part time at the age of 15 in the (food) service industry where he saved enough money to purchase his first car for high school. He had been employed in Calgary in the iron work field at the time of his passing. Darby had plans to move and work in the iron work industry in Vancouver, BC. One of Darby’s hobbies was being a DJ for various get togethers. As a child Darby was close to his Great-grandpa Art. They developed a close bond and were very fond of each other. Darby loved to be around horses and go to all the Shade rodeos. He currently has four bucking horses (Trail Boss, Hangover Soup, Night Life, Hells Acre) with the Shade rodeo string. He showed up at all rodeos even out of town rodeos. He also loved to hone his wrestling skills on his uncles & his dad. Every spare moment they had, he would wrestle with one of them, when one got tired he would pick on another to wrestle with. He loved candy & would do anything for his uncles for candy. Darby had tremendous love for kids not only for his cousins but all kids and talked about his siblings all the time. He was also a great entrepreneur, one time at the Kainai Indian Days when he was 13 years old; he was selling firecrackers out of his grandparent’s trailer without their knowledge. Darby was always the center of attention & the life of the party; he will leave a great void in the Shade family. Predeceased maternal great grandparents Arthur (Pokohkiina Little Chief) & Josephine (Akkaihkinii Many thick hair) Soop, Great Grandparents; Bunny Grier and Irene David; Grandparents Oliver Soop and Marilyn Gray. Great Uncles Everett Soop, Clement Soop, Kenrick Soop. Aunt Kari-Lynn Soop; Cousin; Adrienne Raine-Soop. Predeceased paternal great grandparents Harry & Agnes Shade, maternal great grandparents Walter & Mary Singer, Uncle Harley Singer & cousin McKai Shade.